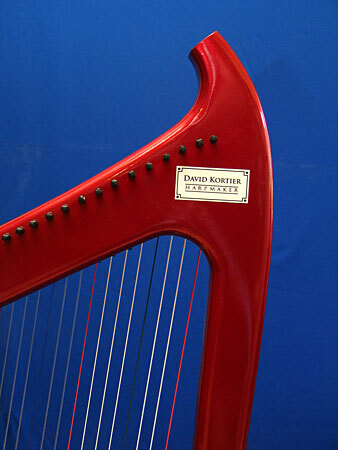 The slim body portion of this model encloses all the wiring, the preamp, and the battery. 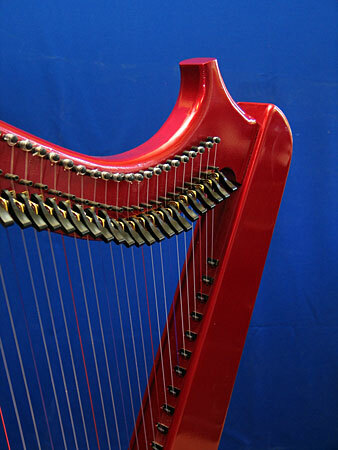 The base board is quickly and easily removed (and reattached) by loosening two wing nuts by hand, no tools are needed. 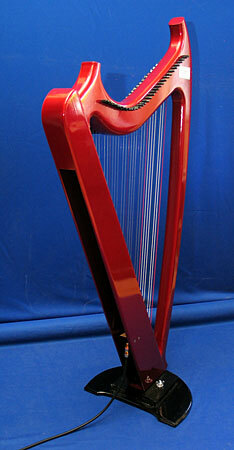 This allows the harp to be packed in a totally flat case for ease of travel. 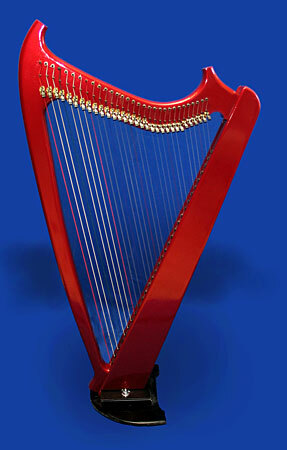 Electric 31- a medium-sized harp: full range, yet very portable. 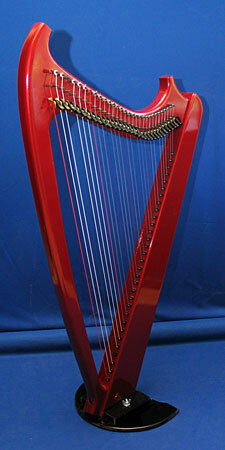 Total weight of harp in its case is about 25 lbs. Harp alone is about 19 lbs. Price of $2,600 includes baseboard, case, and tuning wrench.